Almost 30 years old Izuzu disel engine requires a full service: exhoust system, gasoil hoses, waterpump, impeller, filters, engine oil, gear oil, belts, oilpressure sensors, instruments lights, the hole wiring, raw water hoses and valves.....all new!!! 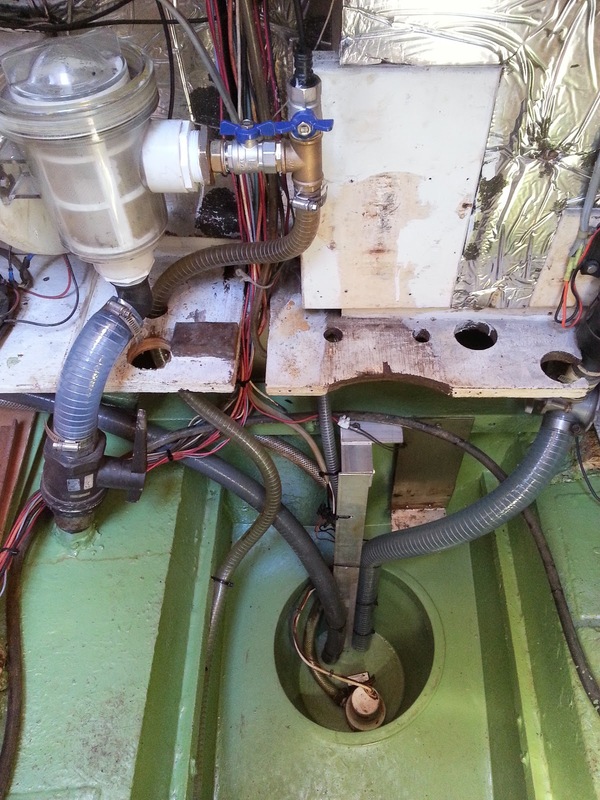 And by the way the bilge pumps also. 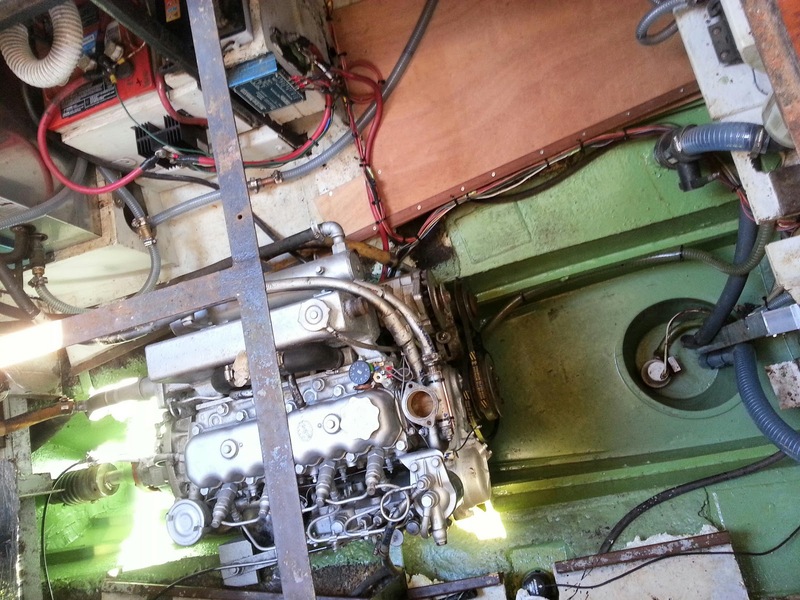 Now it looks like a engine wich survived our circumnavegation.